ALL NEW IS LONG AGO FORGOTTEN OLD! The fashion circles together with the wheel of history, carrying the long ago forgotten old to the fashion sky today. The nowadays high fashion linen wear we recall from old photos as our ancestor`s wear. and hometextiles ( curtains, tablemats and -cloths ). Linen wear gives you warmth when cold and cools when hot. And the most important thing is: the linen wear together with the environmentally concious way of thinking never gets out of fashion! 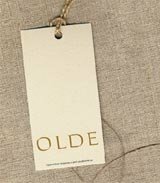 Our linen clothes and textiles can be purchased at our factory store in Kose, Harjumaa, the Open-Air Museum in Rocca al Mare, Tallinn, in Korgsvinger, Norway and in Cadiz, Spain.